Understanding how stars form within the Universe is one of the fundamental questions in modern astrophysics and is central to many other fields, including the evolution of galaxies and the formation of planets. At UH we have an active group working on the formation of stars within the Milky Way galaxy, where we can study the processes of star formation in much greater detail than in more distant galaxies. We lead extensive multiwavelength surveys of the Milky Way from visible wavelengths (IPHAS, VPHAS+), through the infrared (UKIDSS GPS, VVV, VVVX), millimetre & submillimetre (SASSy, JPS), and radio wavelengths (KuGARS). In addition, we are heavily involved in planning the next generation of radio surveys with the SKA and its precursors. Our major goals in star formation research are to study the very earliest stages in the formation of massive stars, discover new young open clusters in the Milky Way, determine the importance of triggering in star formation, and investigate variability in young stellar objects. Massive stars are a powerful force in our Galaxy and others, acting to disrupt giant molecular clouds and trigger new generations of star formation before exploding as supernovae. Once massive stars have formed they are highly visible but their earliest stages are still shrouded in secrecy as their birthplaces are hidden deep within the densest regions of dark and cold molecular clouds. These cold, dark regions emit most of their energy in the far-infrared and submillimetre regions of the spectrum and so this is where we must search for them. At UH we are carrying out the SCUBA-2 Ambitious Sky Survey (SASSy), which is the largest ground-based sub-millimetre survey of the Milky Way with the SCUBA-2 camera on the James Clerk Maxwell Telescope. Combining SASSy with the far-infared Herschel Space Observatory Hi-GAL survey allows us to efficiently find the coldest objects within the Milky Way. This is the SASSy 850 micron view of the Cygnus-X star forming region in the Milky Way. Each bright region is an individual site of star formation within Cygnus X. The Moon is to show the scale of the survey (this image was also taken by SCUBA-2). In total we have mapped over 800 square degrees in SASSy. 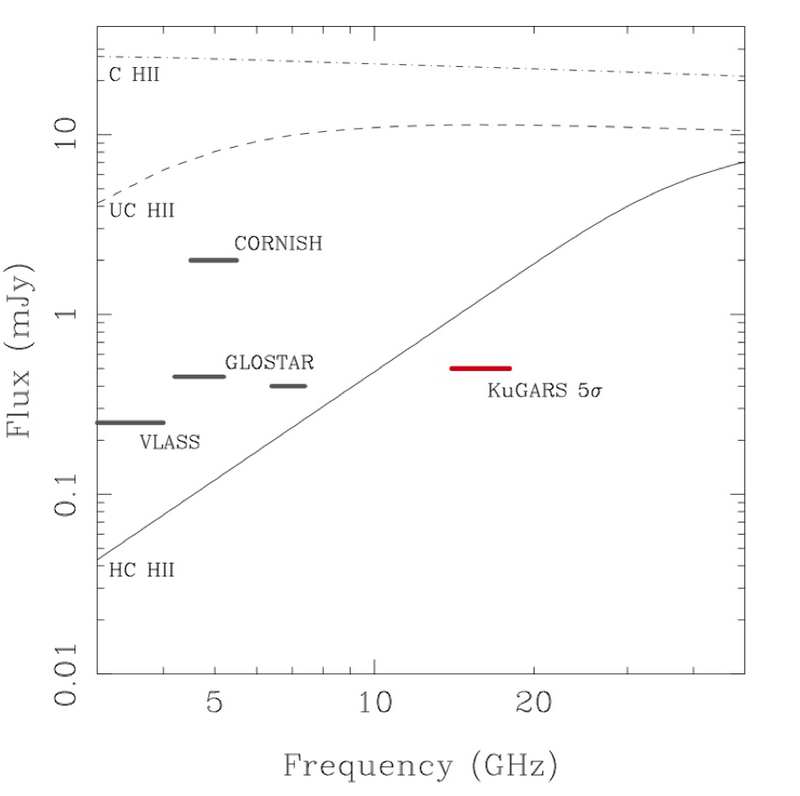 In addition we lead a large radio wavelength survey project KuGARS (the Ku band Galactic Reconnaissance Survey) with the Jansky VLA that is aimed at identifying the very first stage in the development on an HII region, the so-called hypercompact HII region. Only a handful of Hypercompact HII regions have been serendipitously discovered so far, as they are essentially invisible at the long wavelengths of existing radio surveys. KuGARS is the first radio survey that will be able to find these elusive objects and constrain their age and number in the Galaxy. KuGARS is the precursor to a much larger project (MeerGAL) with the MeerKAT radio telescope that will survey the Southern Milky Way. Infrared Deep Sky Survey of the Galactic Plane (UKIDSS GPS) and continuing with the VISTA Variables in the Via Lactea (VVV) survey. The key advantage of these surveys is that they are much less affected by extinction than visible wavelengths, which allows us to penetrate deep into the Milky Way and identify young stars. 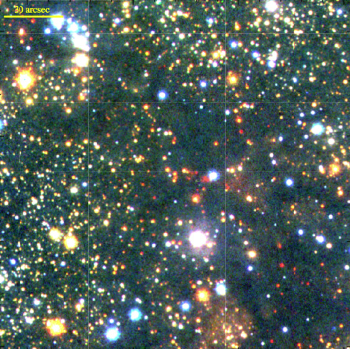 Overall UKIDSS GPS and VVV have revealed over a billion stars in the Milky Way. 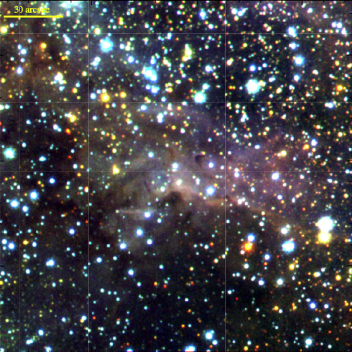 We have identified hundreds of new open star clusters in the Milky Way using UKIDSS GPS and VVV. We use a variety of search methods, including sophisticated Bayesian techniques, to identify local stellar overdensities. A substantial proportion of these clusters are very young and show evidence of ongoing star formation. Massive stars have a tremendous impact on their surroundings and may be responsible for triggering the next generation of nearby stars. Even our own Sun may have been triggered into formation by a nearby supernova or massive stellar wind. We have used the results from multiwavelength surveys of the Milky Way to statistically quantify the amount of star formation that may have been triggered in this way and to study the triggering process. We were the first to find a significant increase in star formation at the edges of objects known as Spitzer bubbles, which shows that between 14 and 30% of all massive stars in the Milky Way may have formed via triggering. Our statistical techniques have been used by many other following studies, looking at Citizen-Science discovered bubbles in the Milky Way Project, or to investigate the same effects in theoretical models. Eruptive variability in Young Stellar Objects (YSOs) is a poorly understood phenomenon despite decades of work, mainly because of the small number of known objects that have been available for study. It is known to be caused by sudden dramatic increases in the rate of accretion from the protostellar disc on to the star. Until very recently, the known examples had almost all been found by optical studies. The advent of VVV, the first large infrared time domain survey, offered a chance to search for eruptive variability at earlier stages of evolution when average accretion rates are higher. Our studies with VVV and UKIDSS GPS are unveiling a large population of eruptive variable YSOs with properties somewhat different than the previously known subtypes (known as FUors and EXors). We provisionally dub this new population "MNors", after the prototype source that illuminates McNeil's nebula. If this phenomenon is common amongst YSOs, as is suspected, it can resolve some long standing problems in star formation, namely that YSOs in nearby star forming regions are typically under-luminous and show considerable scatter in Hertzsprung Russell diagrams. Low average luminosity would be due to the great majority of the cycle being spent in the slowly accreting state, while the scatter would be due the effect of different accretion/eruption histories on the temperature and luminosity of each star. We are currently working to determine the incidence of the new population of MNors and understand the variability of YSOs more generally.